I would head over to the demo area to see James Martin. I want to see The Great British Bake Off. Anything cheese - every time I go I head straight to the cheese stalls! The producers village - I love talking to the people who are passionate about their product. 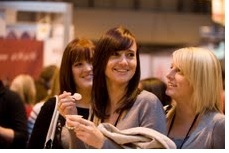 THe best bit of the Good Food Show for me is checking out the stalls, I especially enjoy buying great quality spices. I love talking to all the stallholders about their produce - you learn so much about people's passions! Look forward to seeing Mary Berry's demostrations. Her recipes are delicious. Never fail. Working my way through her Cookbook. Would love to see Masterchef brought to life! The celebrity demonstrations and the great product tests! Cheese,Cheese and more cheese. There is nothing better than tasting new cheeses. All the lovely food to sample - fantastic! The independent food producers who always seem to come up with unique and clever foodie products and ideas which are different to the mainstream producers. I love the combination of Good Food and Gardening Shows. You can grow it, then eat it, with no food miles, and as few chemicals as you want. Sorry, didn't answer the question properly. I would really enjoy going round the plant sales, buying unusual herbs to grow and try in my cooking. The demonstrations as you get lots of good ideas! Mary Berry - can't fail with her recipes! I love sampling different foods from the many stalls there, delicious! I love sampling the different foods from the many stalls there, delicious! Trying all the samples - Yum! I'd love to visit the show - especially the supertheatre! Anything to do with MasterChef having just been addicted to the show and now suffering from withdrawal symptoms! 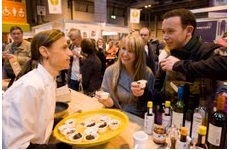 All the product demo's and food tastings. the whole experience, the food, chefs, tasting and trying, yum! I went for the first time last year and it was a fantastic day out. Quite expensive (not the ticktes but all the stuff I ended up buying). The live demonstrations, oh and the wine tasting! I just like to try some great new produce! All of it and the experience of visiting. I love visiting all the cheese stalls - you can never have enough cheese!